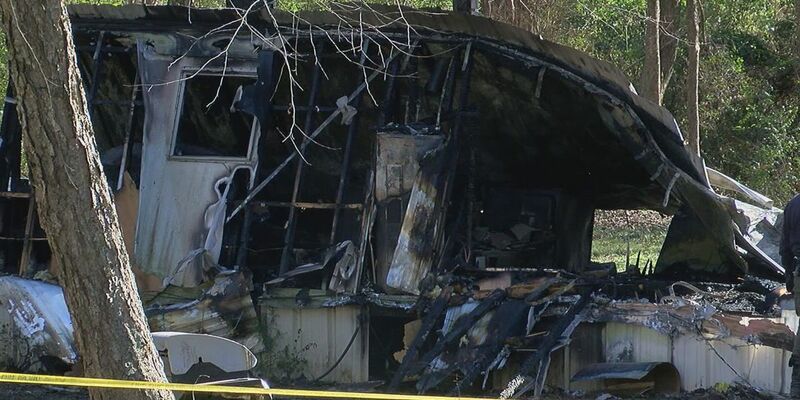 SMITH COUNTY, TX (KLTV) -Investigators are working to determine the cause of a fatal mobile home fire in Smith County. It happened on County Road 384, near Hebron Road, east of Tyler. “We received a call at approximately 5:20 this morning,” says Chad Hogue, Smith County Assistant Fire Marshal. “Three fire departments responded immediately and when they arrived on scene it was fully involved." Hogue says the mobile home was already engulfed in flames and two people were still inside. Both were pronounced dead at the scene. “We believe the resident was one of the victims and the other victim was possibly a family member that lives next door,” says Hogue. Gerado Sandoval, a family member of the victims, says he believes the person who lived next door may have been trying to help that other family member. The victims’ identities have not been released, pending autopsies. The fire marshal’s office says no foul play is suspected but ATF has been called in to assist with the investigation.